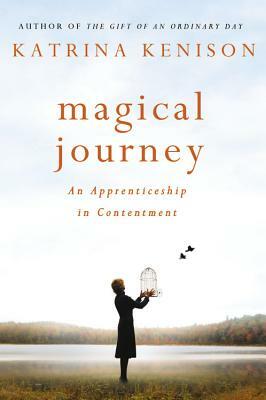 In her most recent memoir, Magical Journey: An Apprenticeship in Contentment, Katrina Kenison writes of needing to re-find her purpose as she faces an empty nest, the shifting landscape of her marriage and the death of a close friend. 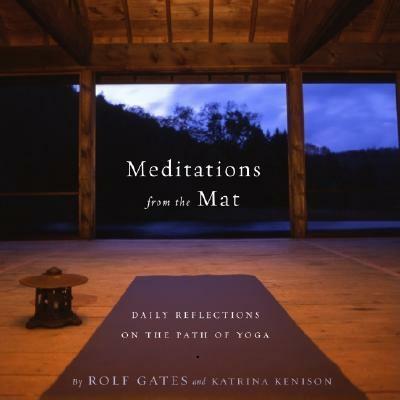 Kenison has written two previous memoirs, The Gift of an Ordinary Day and Mitten Strings for God: Reflections for Mothers in a Hurry, and co-authored Meditations from the Mat: Daily Reflections on the Path of Yoga. 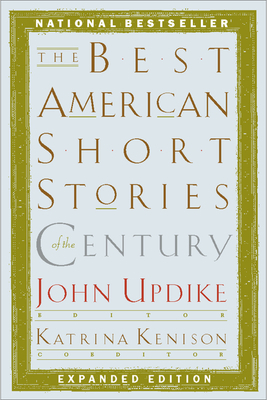 She was the series editor of The Best American Short Stories from 1990 to 2006 and was the co-editor, with John Updike, of The Best American Short Stories of the Century. She lives in rural New Hampshire. Kenison recently talked with Lisa Lynne Lewis about the process of shaping a narrative from real life, the vulnerability of writing memoir, and the similarities between writing and practicing yoga. Lisa Lynne Lewis: In Magical Journey, your own struggles and vulnerability as a mother feel much more acute. Was this a more difficult book to write than your previous works? 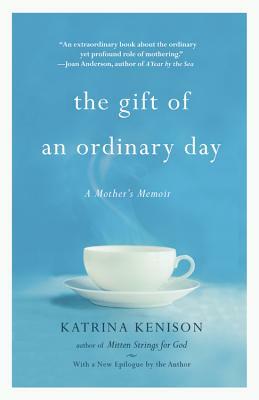 Katrina Kenison: It was a more difficult book; it was about a much more raw and tender moment in my own life. Part of the process with The Gift of an Ordinary Day was to remind myself to pay attention and enjoy those ordinary days while we were still a family of two parents and two kids under one roof. I kind of had it in my mind that my boys would move up and on and I would have no regrets, but it was all so much more challenging than I expected. First, my older son went off to college halfway across the country. Then my younger son was having a very tough time, and we realized what he really needed was a boarding school. Suddenly I became an empty nester two years sooner than I’d expected. It was so clear that it was absolutely the right choice for him, but it was very hard on me! I had this vision of how family life ought to be, and this wasn’t part of my plan. There was part of me that felt that I had somehow failed, that if I had been a better mother, this wouldn’t have happened. I wrestled with this in writing the book as well. This was really a new level of vulnerability for me – to be that open about my struggles as a woman and as a parent. I also had a very dear friend who had been battling ovarian cancer, and it became clear she wasn’t going to get her miracle. At the end of her life, I walked right up to the edge with her. It changed me – I realized how fleeting and fragile life really is. How do you live with that awareness and still live with joy and gratitude? I was definitely at a much more vulnerable place. LLL: In the opening pages of Magical Journey, you describe how you were writing the final pages of your previous book about family togetherness, The Gift of an Ordinary Day, even as your youngest son “checked out.” How did that situation, that inherent conflict, shape your approach to writing Magical Journey? KK: Part of it was a real writer’s dilemma. I remember an email from a reader who wrote that she was three-quarters of the way through The Gift of an Ordinary Day and couldn’t wait to see how it all turned out – I felt the same way! Even though what was literally going on in my life was quite separate from the narrative, I already knew what my endpoint was for the book. I had a sense of where that story would begin and where it would end. My own life seemed to be taking a different turn, but the story I was writing really ended back there at the endpoint I’d decided on. LLL: How do you think your approach and your writing have shifted over the course of writing these three books, each chronicling a particular stage in your life as a mother? KK: I think that what I learned as a writer is that starting from a point of not knowing is actually a pretty good place to start. 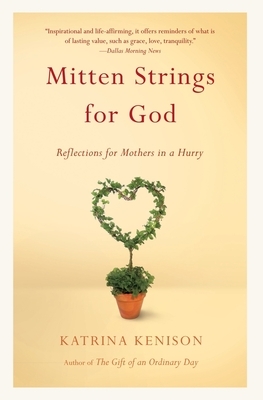 When I began Mitten Strings for God , I thought I had figured a few things out about the kind of mother I wanted to be. The book was about my efforts to slow down, to simplify and not get caught up in the crazy busy-ness of the culture. With the other two books, I began with a lot of questions and not many answers. It took me a while to realize that was okay, that I didn’t need to have all the answers before I wrote. As Rainer Maria Rilke wrote, you need to “live the question.” There’s a temptation when someone’s written a book to assume that person has it all figured out. I feel uncomfortable when people ask me for parenting advice – all I really have to offer is my own experience and a place to have a conversation. But I do feel that I have learned some things through the process of inquiry as I’ve looked for patterns in my life and woven them into a narrative. LLL: You also write more candidly about your relationship with your husband in Magical Journey. How have you balanced your own need to write about your role as a wife and mother with concerns about the privacy of your husband and sons? KK: In this book there’s very little about my boys, in part because they’re older, and this book is about life after that intense child-raising period. With The Gift of an Ordinary Day, I offered everyone the opportunity to read the manuscript before it went to the publisher. My older son read it but my younger one didn’t. When my husband read it, his response was, “Wow, I’m not really in here – I was part of this too.” But the book was really about me as a mother. He was incredibly loving and generous, and he was also a daily witness to my struggles to find the form and craft the narrative. There wasn’t anything that he asked me to change. With memoir, everyone has a version. There is a way that the person who writes it down almost comes to own it. I was very conscious of this when I wrote about my friend Marie who had died. I took care in the manuscript to acknowledge how big her world was and how many people were a part of that world. LLL: The act of writing memoir is a process of revisiting and reshaping the events of one’s life. In the introduction to The Gift of an Ordinary Day, you wrote that, “Writing was a way to remind myself to savor the quiet pleasures of everyday life,” and that your approach was to “try to tell my own midlife story of living, loving, and letting go, knowing that doing so would also mean owning up to all that I don’t know, all that I’m still trying to figure out.” How has the act of writing about your family helped you on your journey as a mother? KK: It helped to keep my attention focused where I really did want it to be: on the texture of our own ordinary life. It’s so easy to get caught up in expectations, in this sense that our children should be more, that our lives should be more, that whatever it is that we’re living is somehow not enough. Ordinary everyday life is pretty rich if you’re present. Writing has been a way for me to stay present. There are all kinds of ways to stay present in your own life – for me, writing has been what reminds me and grounds me in what’s important and what matters. It’s also made me aware of how fleeting and transient everything really is. That ongoing work of trying to observe and capture experience is a great practice. It really is about holding on and letting go at the same time. LLL: You have a blog on your site where you regularly post essays that continue to chronicle your journey. KK: It seems a really ideal way to work through my own feelings and explore something that’s right in front of me. What I really like about the blog is its immediacy. I try to post once a week, but I don’t ever know what I’m going to write about until I sit down to do it. I may start in one place and end up someplace else – it really seems that whatever I’m wrestling with, there are other women out there who are challenged by the same thing. I don’t try to make it so timely, but it is always really personal. LLL: Your experiences seem to have resonated with many other women as well – you’ve received hundreds of letters from readers so far this year alone. Can you talk a bit about this response? KK: When I wrote The Gift of an Ordinary Day, I wasn’t at all sure that anyone would want to read it! I worried that it would seem self-indulgent and no one would care. The only way I was able to write it was to sit at home and pretend that no one would ever actually read it. The great surprise was the letters that started to come in from readers saying, “I didn’t know anyone else felt this way,” and, “It’s such a relief to know that I’m not alone.” I ended up with literally thousands of emails like that. I realized I could trust my readers, that we were all on this journey together. I started to feel a real sense of community around that book. With this book, I was kind of taking a leap of faith and trust, knowing there were women out there who felt a connection with me and that I could trust them. But I also knew that I was opening myself up for judgment and criticism. I received one direct letter that was really painful, from someone who wrote, “I think you write about the woman you wish you were rather than the one you are. ... I would feel like a failure if any of my children were to go to boarding school.” I wrote back to her – I wrote the kindest, most loving letter that I possibly could. The thing I have learned is that we’re all doing the best we can as parents. All we can do is keep showing up and learning from those mistakes and being open and honest. So far, I’ve gotten many hundreds of emails and some private Facebook messages [since the publication of Magical Journey about gratitude, about a sense of connection knowing that there is someone else who is struggling and grappling with these issues. I don’t think any of us get to middle age without having some of our assumptions shaken. There’s so much that’s beyond our control and yet it’s so hard to talk about those struggles, especially if we look around and assume everyone else has it all figured out. The line that I hear over and over is, “Thank you for sharing your life with us – it makes me feel less alone. “ That makes the risk that I felt I took with being so vulnerable worth it. LLL: Your books read as collections of interconnected essays. What is it about the essay format that appeals to you? KK: Mitten Strings for God was a collection of essays. With the next two books, I did have some vague sense of a narrative arc but I moved back and forth in time. The structure is not all linear; it’s more thematic. Maybe that goes along with the essay form. Part of that is the difference between memoir and autobiography: an autobiography is an accounting of time and events, but I think of memoir as being more thematic. With memoir, there’s more room for creativity and to be more creative with the structure. Part of the challenge for me is figuring out what story I’m telling and what needs to be there and what doesn’t. Often, some of the bigger life events don’t need to be there because they don’t fit into the larger story that’s being told. LLL: In all three of your memoirs and specifically in Magical Journey when you write about your instructor training in yoga, you describe the importance of being mindful. This focus and self-awareness seems similar to the process that takes place in writing memoir. KK: They all require a willingness to stay. Whether it’s meditation, yoga, or writing, they require staying with what is, staying with your feelings, allowing them to rise up, to be felt, and to pass on. Our human impulse is to want to jump up and take action, to get busy and avoid what’s painful. Writing isn’t comfortable – nor is any practice of mindfulness – because it’s all about confronting the stuff we usually spend time ignoring. LLL: In Magical Journey, you describe how being trained as a Reiki practitioner is a way to reach out to touch someone directly, as opposed to the process of writing, in which you sit alone in your room, “trying to reach out and touch some distant reader with words.” What’s next for you? Do you see yourself making a permanent shift away from writing? KK: I might have briefly contemplated that as I was writing the end of the book. It’s kind of like childbirth: afterwards, you forget how painful it is, and that urge to create returns. I’m still writing. I don’t have another book on the horizon, but I’m really committed to the blog – for now, that’s where I’m writing. There are lots of ways to touch people; one way isn’t better than another. Thank you for this interview. I just read Magical Journey and have recommended it to several friends who are turning 50. I loved her comment in the interview about mindfulness and writing and how difficult it can be to sit with what is. What a terrific interview with one of my favorite writers. I appreciated both the depth of the questions and the insight of the responses. Thank you both! I'm not a mom (unless my dog counts), but I am turning 50 this year and this interview resonated for me. Nice job!